Ethnoprimatology, the combining of primatological and anthropological practice and the viewing of humans and other primates as living in integrated and shared ecological and social spaces, has become an increasingly popular approach to primate studies in the twenty-first century. 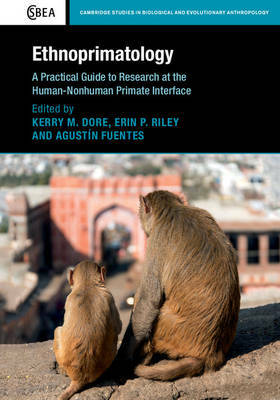 Offering an insight into the investigation and documentation of human-nonhuman primate relations in the Anthropocene, this book guides the reader through the preparation, design, implementation, and analysis of an ethnoprimatological research project, offering practical examples of the vast array of methods and techniques at chapter level. With contributions from the world's leading experts in the field, Ethnoprimatology critically analyses current primate conservation efforts, outlines their major research questions, theoretical bases and methods, and tackles the challenges and complexities involved in mixed-methods research. Documenting the spectrum of current research in the field, it is an ideal volume for students and researchers in ethnoprimatology, primatology, anthropology, and conservation biology.